My doctor told me I should monitor my blood pressure at home. Do I really need to measure the pressure in both arms? While you might think that a single blood pressure reading is for the blood pressure of your whole body, that’s not the whole story. Blood pressure readings can differ from arm to arm—and if that difference is significant, it can indicate a likelihood of serious health problems. Whether you’re measuring at home or a health-care professional is taking the readings, it’s a good idea to periodically compare the numbers from both arms at least once a year. If there’s a significant difference—20 points or more in the systolic (upper) number of your reading—it could mean that you have plaque blocking an artery in your arm. Plaque buildup in an arm artery is a sign of peripheral artery disease (PAD), a painful and potentially debilitating vascular condition that can lead to claudication, where the narrowed arteries limit blood flow to muscles, especially during exercise. But that’s not all. Plaque buildup in an arm makes it much more likely that you also have plaque in other arteries in your body—including in your heart and brain—putting you at higher risk for heart attack and stroke. In fact, one study found a 38% increased risk for heart attack when the difference in systolic blood pressure between arms was 10 points or more. If you do find that your blood pressure differs by 10 points or more between arms when you’re checking it at home, you should let your doctor know—and continue to monitor it in both arms whenever you check your blood pressure. If, on the other hand, the pressure in both arms is about the same (less than 10 points difference), there’s no need to take readings from both arms every time…checking both arms once a year is likely sufficient. And if the periodic check shows that the difference between readings from both arms is climbing, then switch to monitoring both arms—and alert your doctor. Another good reason to check both arms at least once in a while is to make sure that you get the correct treatment protocol. Treatment decisions, such as whether to start blood pressure medications, should be based on the higher reading. Usually, blood pressure is considered high (and requires medication) if it is at least 140 mmHg systolic/90 mmHg diastolic. 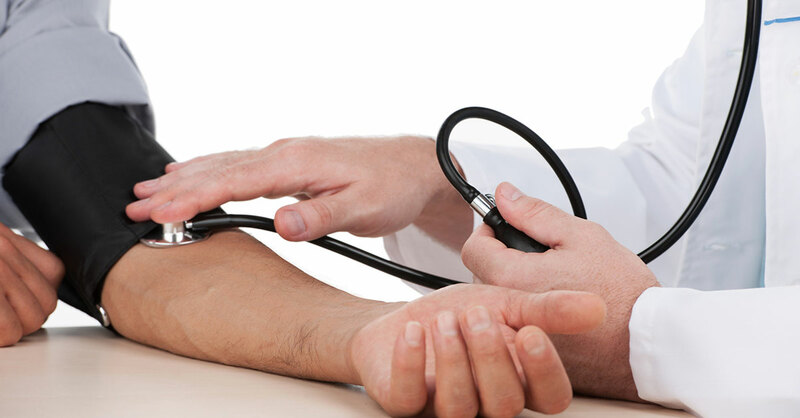 But some doctors recommend lifestyle changes for blood pressure greater than 120 mmHg/80 mmHg. How to take blood pressure at home: The American Heart Association (AHA) recommends using an automatic upper-arm cuff-style monitor. Sit on a chair with your feet flat on the floor. (If your feet don’t comfortably reach the floor, use something to raise them, such as a few books.) The arm you’re going to use should be supported on a flat surface, such as a table, with the upper arm at heart level. Wait at least five minutes before starting to take your blood pressure. Take two or three readings one minute apart at the same time every day. Write down the results or upload them to a website, such as this online blood pressure tracker from the AHA.